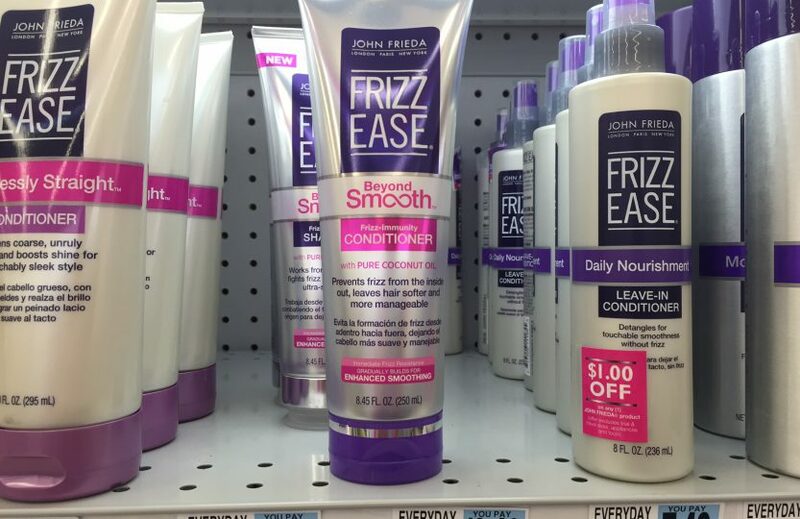 I visited my old friend Frizz Ease in the store today, always keeping an eye out for products (especially conditioners) to try. So I checked out Frizz Ease and saw to my unhappiness it now has sodium hydroxide in it (check out the right ingredient photo, near the bottom). I know this is most likely in there to balance the pH, but just on principle I can’t use anything with this on it. I know, I’m a paranoid person. But I’m a paranoid person with long hair. So this formulation is a no go, unfortunately.